BLUETOOTH/HANDS FREE CELLPHONE, 2 SETS OF KEYS, NAVIGATION GPS, BACKUP CAMERA, REMAINDER OF FACTORY WARRANTY, and ONSTAR. All the right ingredients! 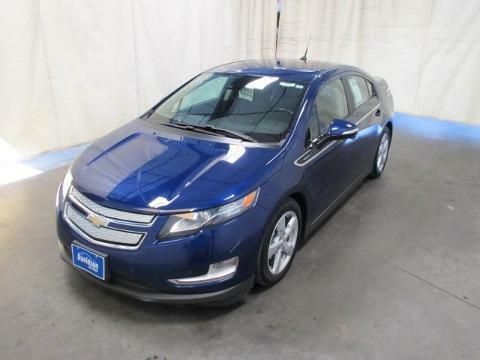 Be the talk of the town when you roll down the street in this wonderful-looking 2013 Chevrolet Volt. This great Chevrolet is one of the most sought after used vehicles on the market because it NEVER lets owners down. This car is nicely equipped with features such as 2 SETS OF KEYS, BACKUP CAMERA, BLUETOOTH/HANDS FREE CELLPHONE, NAVIGATION GPS, ONSTAR, and REMAINDER OF FACTORY WARRANTY.